Automakers usually bundle one set of EPA city and highway figures for all the variants of a particular nameplate -- including Chrysler's V-8 rear-wheel-drive gasoline Ram 1500 pickup, with more than 108 combinations of cab styles, bed lengths and wheelbases available. DETROIT -- New-car buyers place a lot of faith in the EPA's fuel economy window label numbers -- only to find out later that the vehicle doesn't meet them. That's the conflict behind the standard industry disclaimer "Your mileage may vary." For various reasons, most new vehicles are not going to get the EPA fuel economy numbers indicated on the window label, no matter how carefully they are driven. The EPA's tests can't take into account such factors as temperature and geographical differences, fuel blends and quality, or individual driving styles. A vehicle driven in the mountains of Colorado will get fewer miles per gallon than an identical vehicle driven in Iowa. "Everybody wants a label that tells you exactly what you're going to get, but obviously that's not possible," Jeff Alson, a senior EPA engineer, said earlier this year. "A good general rule of thumb is that real-world fuel economy is about 20 percent lower than the lab numbers." But the EPA's own testing methods also contribute to the gap between window-label and real-world fuel economy. Fuel: The gasoline used by the EPA to test vehicles in its Ann Arbor, Mich., fuel economy lab contains no ethanol, a blend not commonly available to most motorists. Gasoline at most of the nation's fuel pumps contains as much as 10 percent ethanol, and that can lower fuel economy by about 4 percent, according to the EPA. The reason the EPA uses pure gasoline is to ensure that all vehicles tested use a standard fuel. Sample size: There are more than 260 nameplates from all automakers available in 2013. But the EPA tests only a small fraction of them, just 10 percent to 15 percent. The government agency relies on automakers to self-test their vehicles and submit the data for review. Moreover, automakers usually bundle one set of EPA city and highway figures for all the variants of a particular nameplate. 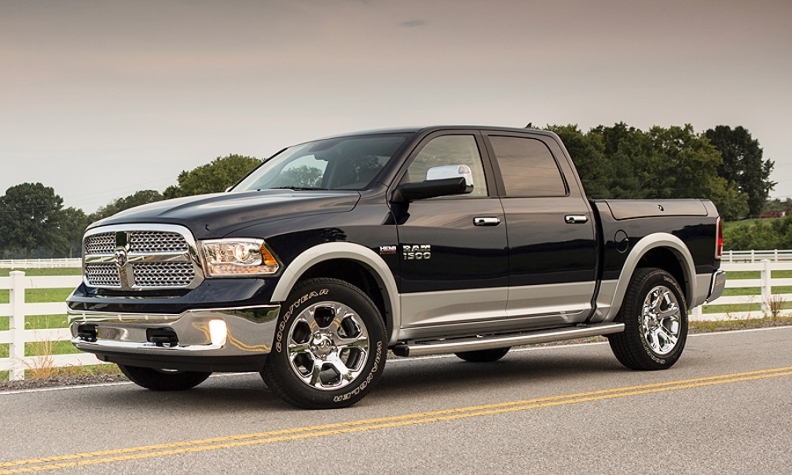 Chrysler's V-8 rear-wheel-drive gasoline Ram 1500 pickup is a good example. There are more than 108 combinations of cab styles, bed lengths and wheelbases available. But the EPA lists only four sets of city and fuel economy figures in its annual fuel economy guide. Driving conditions: EPA testing, conducted on a dynamometer and not a road, does not mirror real-world driving. For example, the EPA's highway test procedure is calculated using a top speed of 60 mph and an average speed of just 48.3 mph in "free-flowing traffic." City driving tests assume an average speed of 21.2 mph.